Since its founding in 1960, the Theodore Payne Foundation for Wild Flowers and Native Plants, a non-profit organization, has dedicated itself to promoting understanding, preservation and use of native flora. 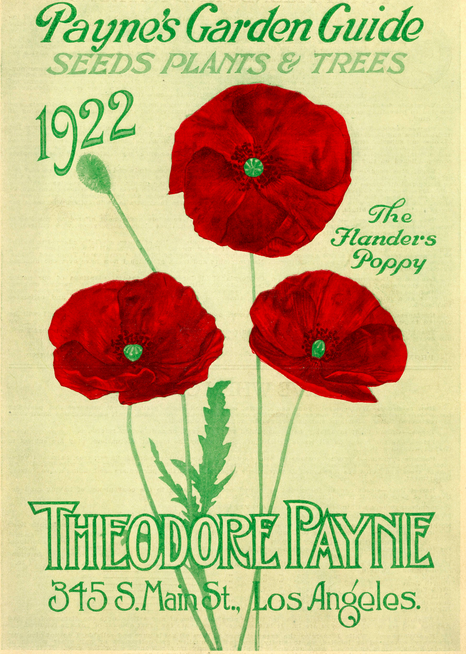 The organization is named for Theodore Payne, who opened his first nursery in downtown Los Angeles in 1903 and is considered the founder of the native plant movement in California. Using and preserving native plants has a number of benefits, including nurturing pollinators and other wildlife, saving water, reducing pesticide use, and cooling the environment. Follow the link below to learn more. If you have received seeds in an M. Marian basket and would like to learn more about sowing wildflower seeds, please read these instructions.